GAM Tech Provides Managed IT Services, VoIP services, and Technology Consulting for businesses in Calgary, Lethbridge and across southern Alberta. Whether it's extra security for your wired and wireless networks, compliance support for today’s stringent regulatory mandates, or you want to gain the benefits of Systems Virtualization – GAM Tech provides this and more for an affordable price. Our core values are Responsiveness, Reliability and Accountability. We strive to give you the highest level of service you come to expect from us. Without these values in place, we are simply just another one of those average managed service providers. Looking for a cost-effective alternative to your current IT situation, outsourcing to Managed IT Services is your answer. Why continue using expensive break-fix solutions or an unpredictable provider when you can have the cost-effective, dependability you’ve been looking for? If you’re struggling to keep up with internal IT demands we can help. Regular Managed IT Services are the responsive, reliable and affordable time-saver you’ve been looking for. With the help of Managed IT Services, you can focus your attention on larger, more important projects without having to worry about time-consuming day-to-day tasks. GAM Tech excels at helping local companies use technology to help businesses grow..
Time For A New Computer Networking & IT Management Company? GAM Tech's Client Share How We Have Helped Them Overcome All Technology Challenges. Calgary Stampede needed a software and hardware refresh; including virtualization, email and directory software. GAM Tech audited the entire environment with VMware Health Check and as a result of the audit, upgraded VMware and addressed IT best practices and configuration optimization. We also upgraded Microsoft Exchange and Active Directory and supplied new servers and storage area network. 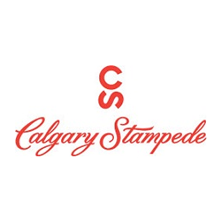 Most importantly, this has allowed for critical business applications for the multi-million dollar Calgary Stampede business to be more reliable and stable and maintenance time is reduced. 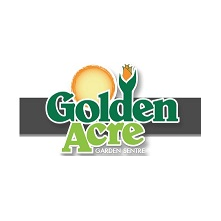 Golden Acre struggled with outdated IT infrastructure; leading to crashing cash tills, and long waits for frustrated customers. In our solution, we completed a top to bottom IT refresh; including design, configuration, and installation of a new network,including: desktops, POS computers, servers, storage area network. Their servers are clustered and the environment is virtualized and redundant. Their disaster recovery strategy now offers 100% business critical operations recovery in under 3 hours. Ongoing maintenance and support is now provided by GAM Tech for the entire environment from desktops to servers. This change has led to tills with little downtime, leading to happier customers; employees are more productive due to stable and efficient computers- giving management peace of mind about having reliable IT. 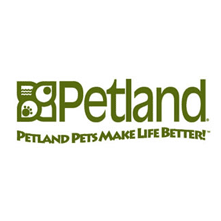 Each Petland store relied heavily on the network and data center at head office for everything from point of sale to human resources. It was critical that the system work, as payments couldn’t go through if the system was down. The IT department managed to barely make it work, but troubleshooting was a daily occurrence. GAM Tech was hired to revamp the network and data centre and we put an emphasis on redundancy and speed. New servers, storage, network hardware, virtualization and network design were involved. Because the new system is fast and reliable, customers are now happy as a result of the reduction in downtime. The network administrator has since moved to a new company and the new system is so efficient that he hasn’t needed to be replaced. Eagle Copters had two issues. First of all, the aging network was unable to keep up with growing business. Secondly, the company wanted to move to a VoIP phone system. GAM Tech completed the network upgrade and provided a redesigned network schematic. These upgrades done by GAM Tech involved supplying, configuration and install of the new network hardware, including: blade switches and wireless access points, client access switches. VMware was also migrated to a new environment. Lastly, since we also specialize in phone systems, we designed, supplied, installed the new VoIP phone system and configured it to meet Eagle Copters specific needs. As a result, these upgrades allow for improved productivity, as bottlenecks in the network were removed and Eagle Copters now has fewer IT support requests. Every organization can benefit from using the best IT service available. Why Won’t MSP’s Listen To Me? I’m The Client! You’ve been searching and searching for an IT company that will lend an ear, not an opinion. Repeatedly, you’ve described your company’s operation in great detail. Your company doesn’t fit nicely in a box. Your business is fluid, growing. Moving with the ebb and flow, and trends of the day. But the different MSP companies you’ve met in the past won’t listen to you. As they speak over you, downplaying your input, they insist their process of protecting your company, must be done their way. Their pat answer is always, “Our way is PROVEN!” When you relent and let them take over, the results are dismal and never change. Long or forgotten response times. The dreaded fix and repair, same problem, over and over. And they shackle you to their contract. You’ve had it! You are ready to yank out every last hair on your head. You want an IT company that listens, doesn’t elbow you out of the way and speak down to you. An IT partner that thrives with change. Moves when you move. Turns when you turn. Stops when you stop. You calling all the shots and them smoothly working alongside. GAM Tech’s listening and ready for your new direction. You want your IT business solutions readily available when you need them. You want around-the-clock support and protection for your business technology, even if the office is closed. You want a Managed Service Provider to focus on improving your business’s productivity while supporting seamless continuity. GAM Tech’s listening and ready to support you. 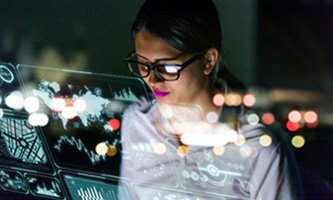 Your IT service provider must manage your technology, so your staff isn’t taken away from their duties, and you can focus on running your business and fulfilling your customer’s needs. Your client’s information must have the utmost protection and the highest priority placed on security. To meet your requirements you insist on monitoring, detecting, isolating, and removing threats before they disable your business and ruin your reputation. GAM Tech’s listening and ready to protect you. Your IT Support must be available 24/7/365 a year. Not just 9-5. You expect a 5-Minute response time when you call in or email your IT company. You want proactive hardware recommendations for replacements or updates. Your software plays a big role in daily operations, and your vendor must be ready at a moment notice, in the event there is a glitch or hiccup. GAM Tech’s listening and ready to back you up. Business Continuity- Monitor your business to provide you with 100% uptime with plans in place in the case of a server failure, power loss, or floods. Microsoft 365- Aid in your Microsoft 365 migrations. You also want help with your SharePoint site creation services as well as affordable document management system. Cloud Services- You to be provided with an extra level of security cloud services such as data backup. Managed IT- You have business to run. Your Managed IT plans must be custom fit to meet your needs, without charging you for what you don’t use. Cybersecurity Service- You know the importance of security for your business and data. That is why offering anti-spam, malware protection, data backup, and recovery is a must have you want. Data Backup- You try to plan for the worst, so you don’t have to suffer through it. But you want to be convinced your data is safely backed up and protected. Fast Recovery- In the event where you lose your physical office, you want to make sure you have access to your back up and up and running quickly with our rapid recovery. Type- We invite all Industries. 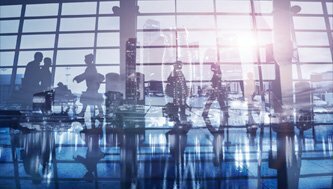 Our vast experience, partnering with businesses such as aviation, education, law offices, accounting firms, staffing agencies, retail environments and construction companies, shows we thrive with change. Size- We assist businesses of many sizes and demographics. You might have ten employees or upwards of 100 employees, that is fine with us. Our goal is that each employee is happy, productive and meets your IT needs. Location- As part of Tech Select Canada we have resources available through our technology partners across Canada and the United States. The primary geographic areas we serve besides Calgary and Lethbridge is Western Canada. But don’t let your location stop you from seeking us out. We have resources that will bring you a technician wherever they are needed most. Our main offices are in Calgary and Lethbridge. Getting ahead in the Calgary business marketplace takes strategic planning and careful execution – and that goes double where technology investments are concerned. GAM Tech is proud to offer vCIO (virtual Chief Information Officer) services to Calgary businesses to provide strategic IT planning in order to help you achieve your goals and maximize your success. Strategic IT Planning with the help of your experienced GAM Tech vCIO is the leverage you need to stay a step ahead of your competitors in the Calgary marketplace. Be the first to get our blogs, sign up today!